There are many individuals and groups that serve the OATUG community with their outstanding contributions throughout the year. 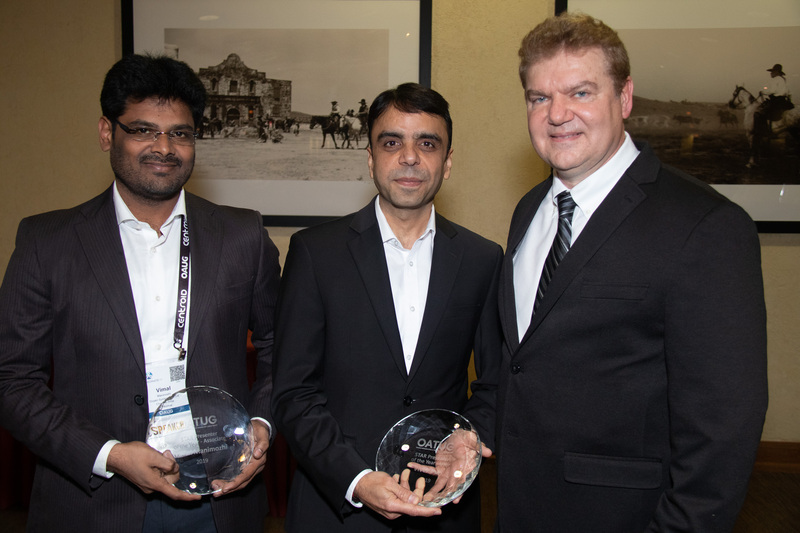 Today, OATUG recognizes its 2019 winners. 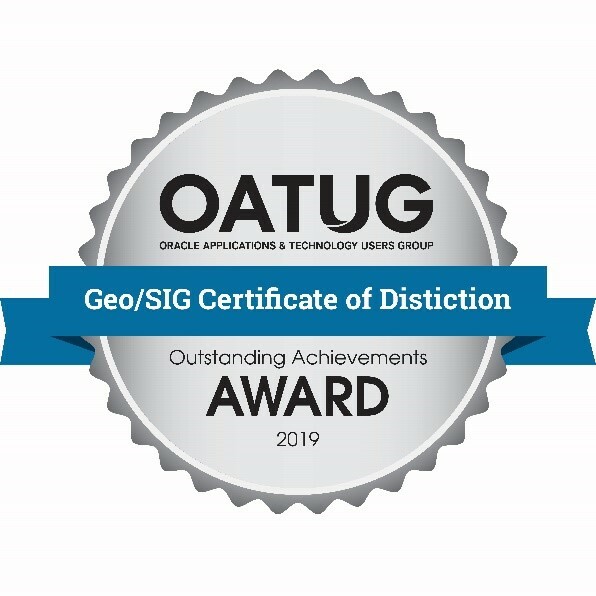 The OATUG Oracle Ambassador Award recognizes an Oracle employee who has made an outstanding contribution to the OATUG and its members. Nathalie has done an amazing job helping to promote OATUG events and eLearning programs. 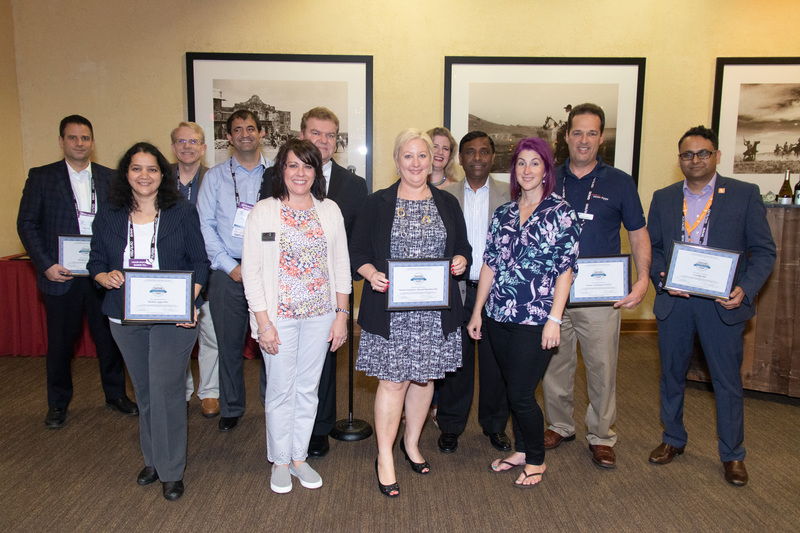 Last year, OATUG started working more closely with Nathalie and her team on marketing COLLABORATE 19, including the call for presentations. Nathalie has also helped pioneer the Executive Forum, where high level-EBS users get direct access to Oracle VPs. She is an invaluable member of the Oracle staff. The STAR Presenter of the Year Award recognizes members who have made an outstanding contribution to OATUG via speaking engagements. These engagements may include educational events such as COLLABORATE, OATUG eLearning webinars and panels, and/or Geo/SIG meetings. 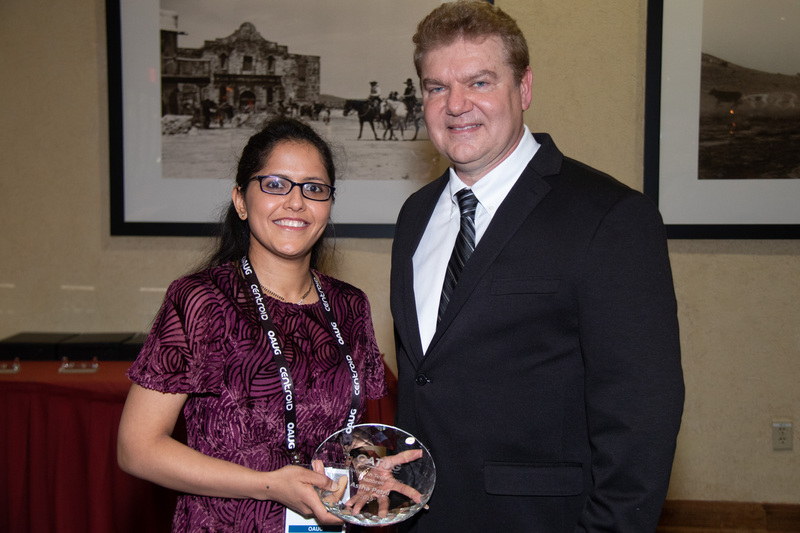 The Women in Technology Recognition Program honors a female OATUG member who has demonstrated a passion for spreading awareness by helping other women excel in technology-related professions or fields of study. Astha Patni, Consultant, Performance Architects Inc. The Member of the Year Award recognizes an individual within an member organization who has made an outstanding contribution to the OATUG. 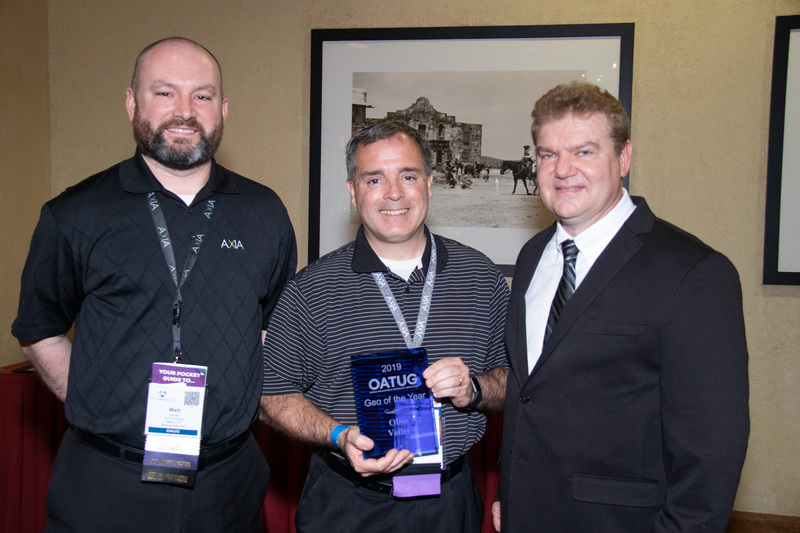 This Member of the Year demonstrates a high level of commitment to helping the OATUG better serve its members by supporting our initiatives of education, networking and influence. 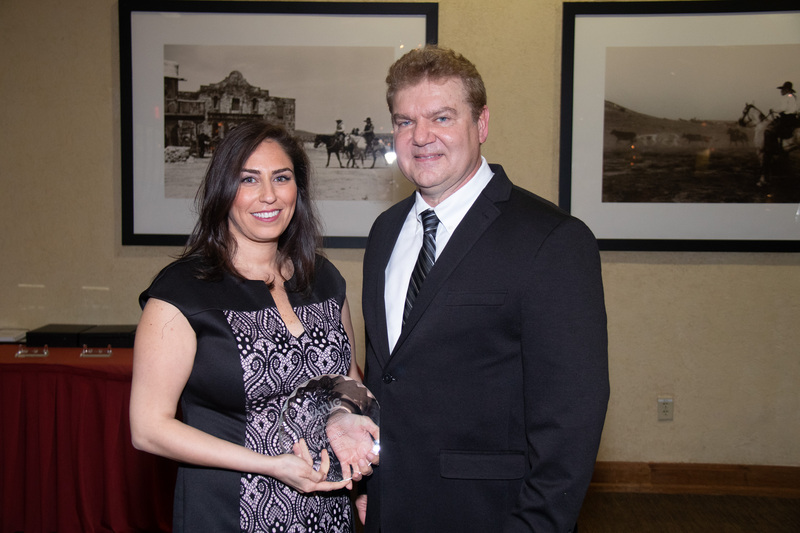 The 2019 OATUG Member of the Year is Kirby Lunger, Partner, Performance Architects, Inc., who was nominated for her commitment to and enthusiasm for supporting the OATUG. Kirby’s most significant contribution to the OATUG has been her participation in the OATUG’s Special Interest Groups (SIGs). She ran the Endeca SIG for four years during a very challenging time when Oracle was closing the product line. As part of this process, Kirby led the merger of the Endeca and BI SIGs into the newly-formed Oracle Analytics, BI and Big Data SIG, which under her leadership, has grown to a large, very involved board with 50% customer and 50% consulting representatives. 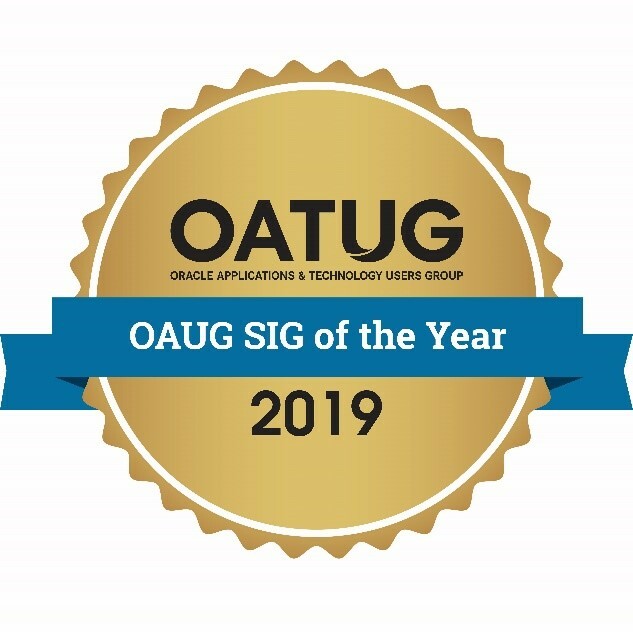 The Oracle Analytics, BI and Big Data SIG is one of the largest (>2K members) and most prolific in the OATUG. They hold monthly board meetings that are open to the membership; monthly webinars that include a mix of customer case studies and regular Oracle updates; publish a monthly newsletter and webinar updates; maintain a strong social media presence on LinkedIn and Twitter; and collaborate strongly with other SIGs. Kirby has been instrumental in growing the awareness of the analytics, BI, big data and EPM communities for the OATUG. 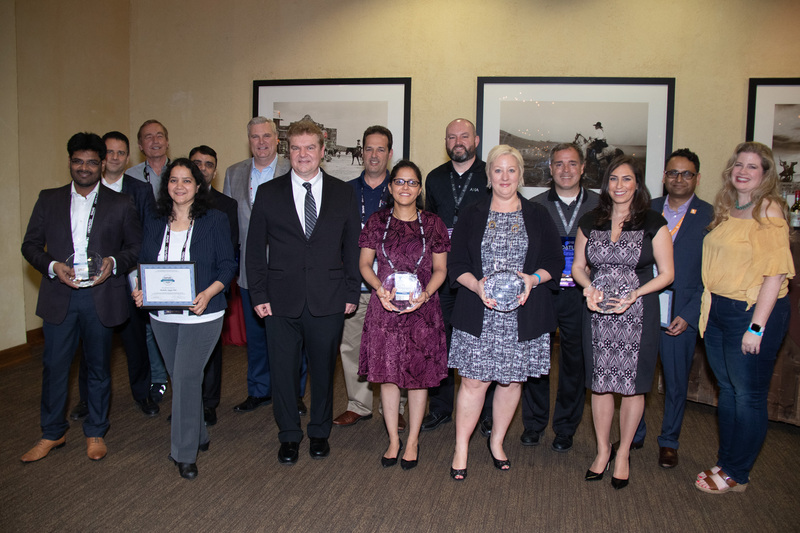 In 2018, she recruited the sponsors for and helped to rebrand the EPM/Hyperion Connect Reception to include the Analytics, BI and Big Data community. She also was a key member of the OATUG’s EPM/BI Task Force and spent a significant amount of time revamping the EPM and BI track descriptions and details with Oracle for COLLABORATE so that these would be more understandable to conference attendees and presenters. Kirby has also served as a content selection participant and co-chair for the analytics and EPM arenas for COLLABORATE several times. She has also been heavily involved behind the scenes in helping nurture and grow the next generation of leaders for the OATUG. Kirby has served on the Board Nominating Committee many times over the past few years, and when her schedule didn’t allow for “formal” participation, she actively recommended new board candidates and volunteers. Kirby also participates in giving back through sharing her knowledge and experience. She has presented at COLLABORATE for almost ten years now and regularly contributes articles for various OATUG publications. She is also a regular speaker and participant at local Geo events like New England Oracle Applications Users Group (NEOAUG). Kirby has been a prolific volunteer with OATUG for the last several years in many different capacities. 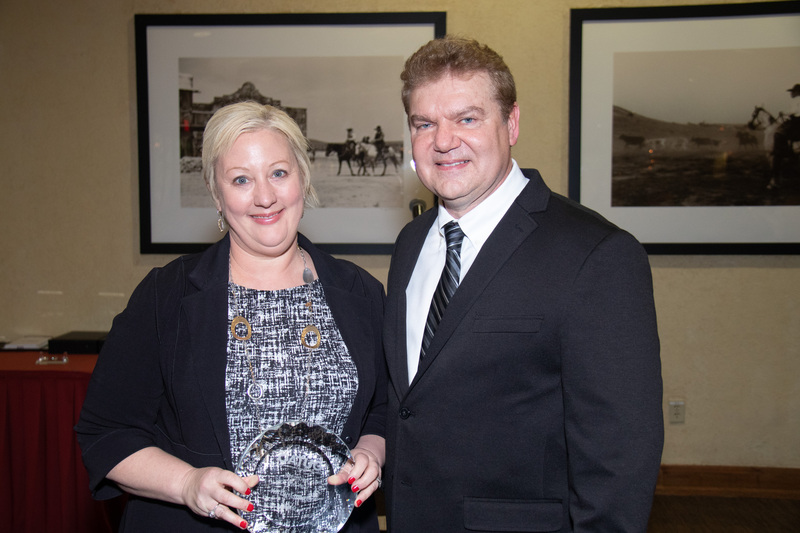 Please join us in congratulating Kirby on her award and thanking her for her tremendous contributions to OATUG. 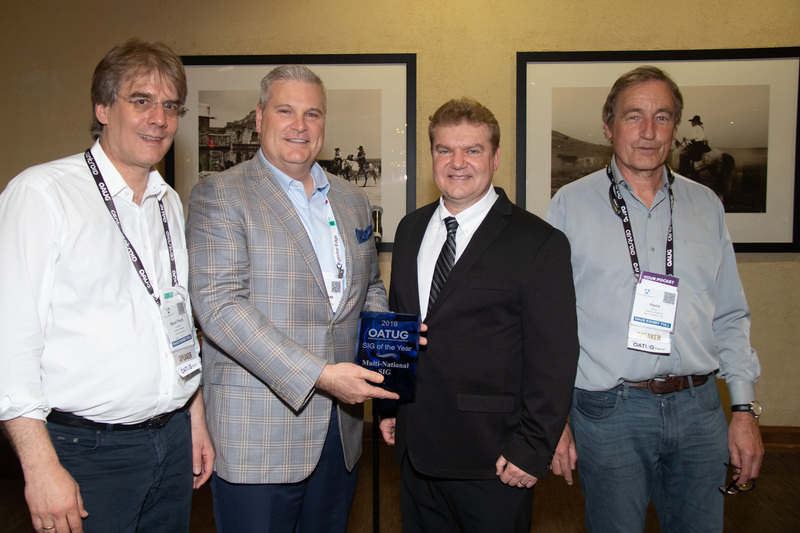 Congrats Hans and the MNSIG team on the award. Heartiest Congratulations to Kirby Lunger! Kirby has worked tirelessly to make EPM, BI and Data Analytics a vibrant community within OATUG! She is a great example how one can contribute to OATUG! Kudos! !